The tweet also confirm the reports that a new poster will be debuting tomorrow! 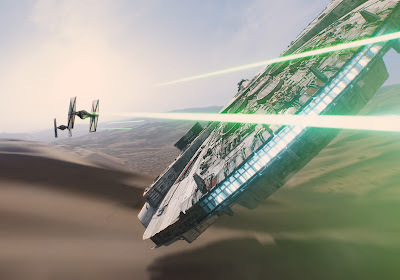 If there was any doubt about what Star Wars fans should be watching on Monday night, this settles it. Time to get excited! Monday Night Football? It feels a bit like a "Hey bro's, Star Wars isnt for nerds anymore" move. 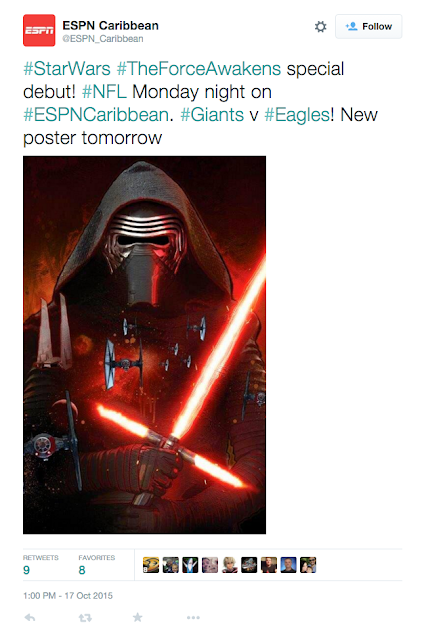 Yeah, no amount of Star Wars will get me to watch football. I'll just wait for it to be posted on YouTube five seconds later. I guess that is one way to draw in a different crowd. Seems like a smart move, it will get a lot of eyeballs of the new trailer, but I think I'll just watch it online. Hopefully it will be posted simultaneously by official sources- don't want to watch bootleg copies. I hate football... But I'll do it for the Star Wars.